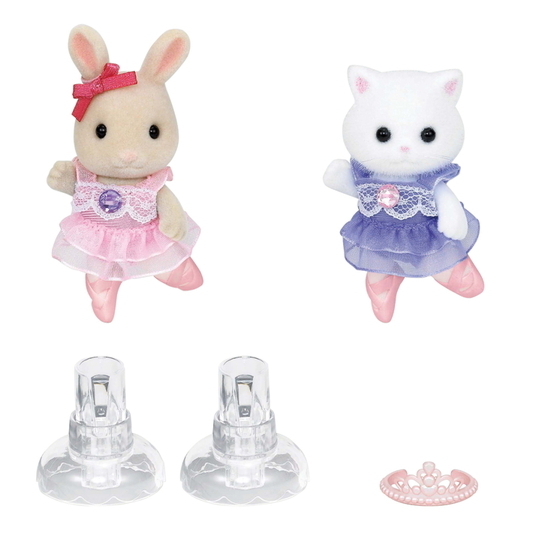 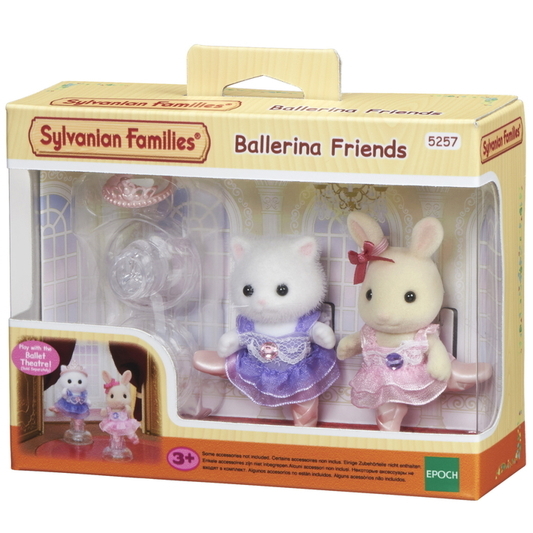 In this Ballerina Friends set, the Milk Rabbit girl and the Persian Cat girl are wearing beautiful ballet tutus with sparkling brooches. 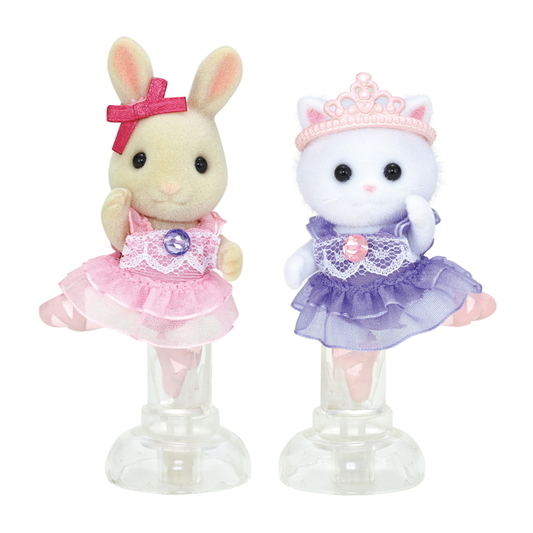 The dedicated stands can be used to pose the figures in various ways in your ballet game. 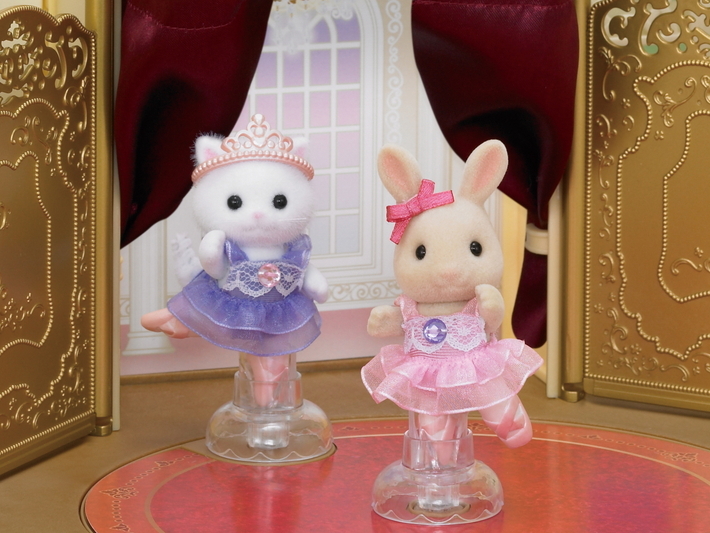 Place the figures on the stage of Ballet Theatre (sold separately) and turn the handle to make the figures twirl. 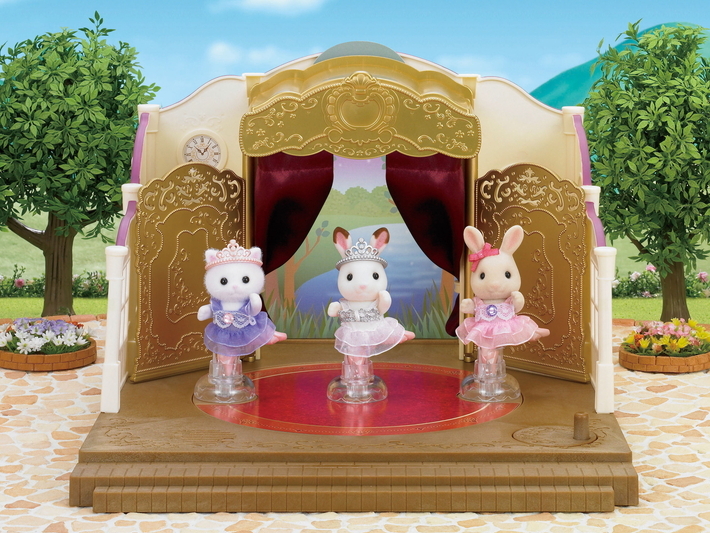 Play together with the Chocolate Rabbit girl (in ballerina style) included in Ballet Theatre on the stage too for even more fun.